Today’s post features an aerial photo of the Yarkon River, a river on the western side of Israel near Joppa. 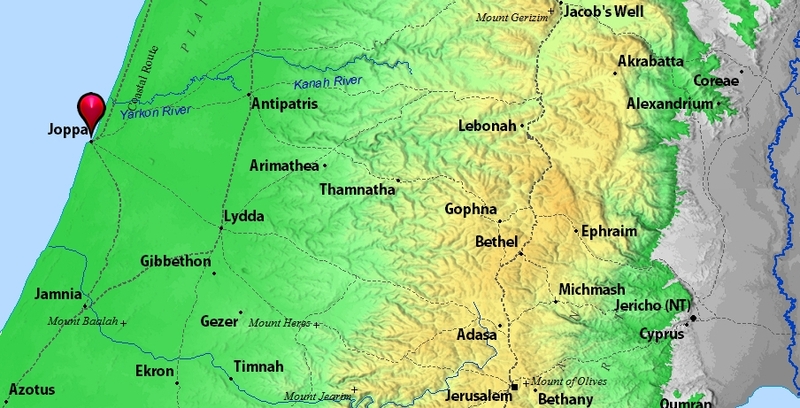 In a context setting forth the tribal allotment of Dan, Joshua 19:46 includes “Me Jarkon, and Rakkon, with the region near Joppa” (NKJV). The term Me Jarkon means “waters of the Jarkon” (Eerdman’s Bible Dictionary). The Hebrew character for “J” is sounded as “Y,” hence the spelling Yarkon. Yarkon River, north of Joppa. BibleAtlas.org. 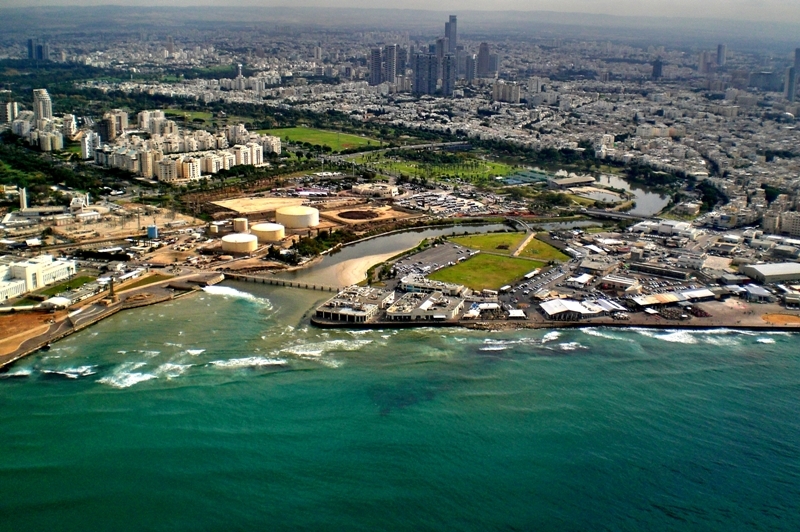 Aerial Photo of Yarkon River as it empties into the Mediterranean. Photo ©Leon Mauldin. The Yarkon or Me-Yarkon (‘Waters of Yarkon’ in Hebrew) is a river mentioned as being in the territory of Dan (Josh. 19:46); called el-Auja in Arabic, it is a perennial river rising at the foot of Tell Ras el-Ain. The mound referred to most probably contains the remains of the ancient city of Aphek (Josh. 12:18; 1 Sam. 29:1), the Herodian Antipatris. The copious waters of the river made its valley ideal for intensive agriculture. Indeed, along its bank numerous towns and villages sprang up in all periods. It is possible that in ancient times, before the mouth of the river silted, it also served as a safe harbor, and small vessels and rafts could navigate its entire length. Running from the foothills down to the sea the Yarkon River formed a military obstacle. Alexander Jannaeus built a line of fortresses as defense against the Syrians (Josephus, War i,99). The earlier cited text of Joshua 19:46 is the only text in the Bible which mentions the Yarkon. You are currently browsing the Leon's Message Board blog archives for the day Tuesday, October 5th, 2010.